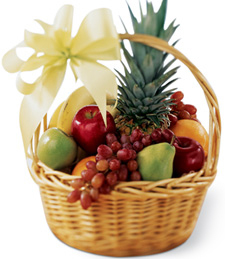 Ripe and colorful fruits and flowers erupt from this charming basket, showcasing some of Mother Nature's sweetest gifts. 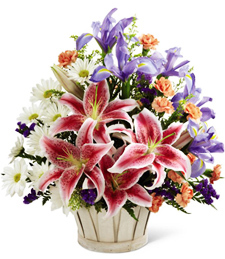 Order it today and treat a spouse or significant other on your anniversary to this medley of color, fragrance and flavor. 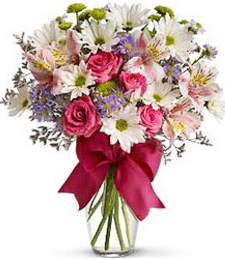 Pretty in pink, this assortment of fresh flowers is a delightful and charming momento of your warmest affection. 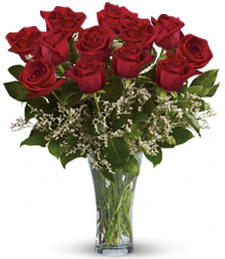 Celebrate your anniversary in an extra special, unforgettable way! 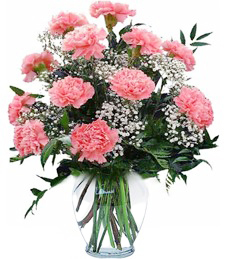 Sweet, warm and delightful, this stunning collection of carnations is guaranteed to fill any room with joy and vibrance. 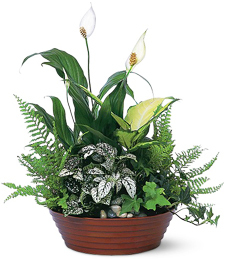 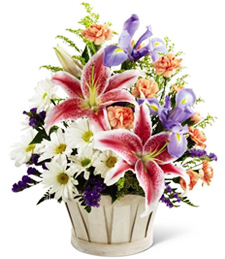 Spoil a special spouse or significant other with a heartwarming anniversary gift of flowers! 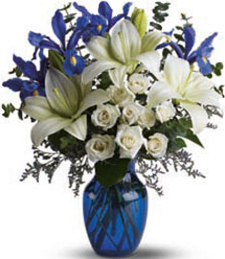 Replenish spirits with a gorgeous breath of fresh air! 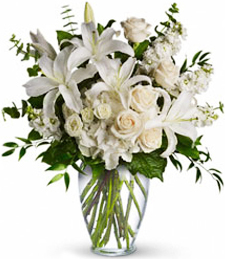 Beautifully arranged with lovely roses, lilies, and greens, this anniversary bouquet truly adds an aura of peace and harmony to the room. 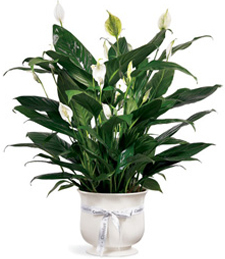 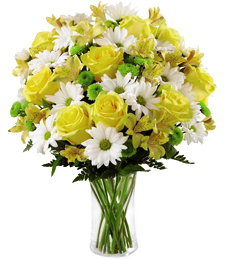 Please them with this pretty bouquet, bound with a bright ribbon and arranged in a glimmering glass vase. 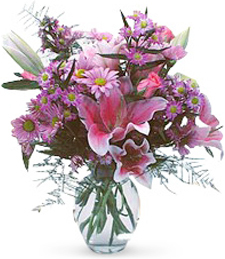 Spring green, ivory, pink and lavender flowers, laced with roses and daisies, are sure to satisfy! 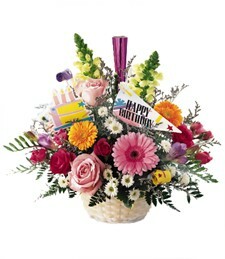 Fulfill your wishes to express your feelings in the finest way and tell them what you sometimes cannot say, with flowers! 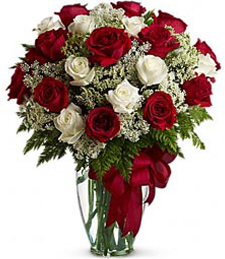 Velvety roses of red and white shimmer with beauty and grace! 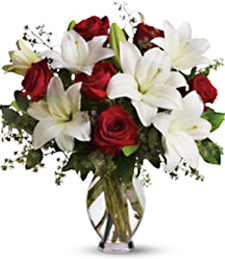 Utterly decadent, these brilliant blooms will light up any room, making them a simply sublime and lovingly lavish anniversary gift for your most special someone! 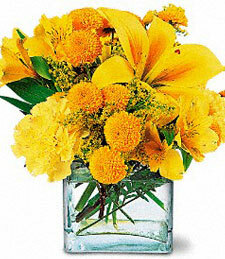 Make a stylish anniversary statement with eye-misting loveliness! 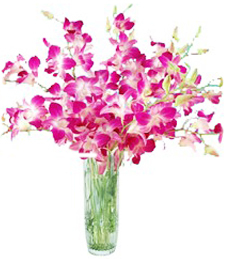 Full of beautifully colored flowers arranged with artistic flair, this bouquet is guaranteed to truly touch the soul. 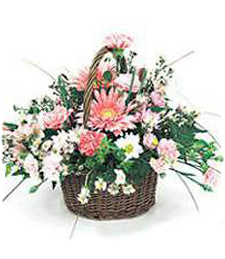 Order today! 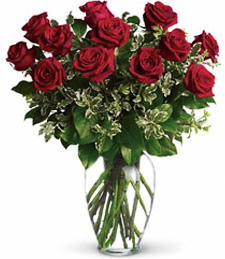 Luminous with classic beauty, this lovely bouquet of twelve perfect roses truly expresses all you have to say. 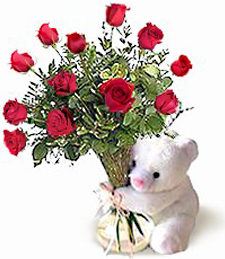 A most wonderful and unexpected anniversary surprise! 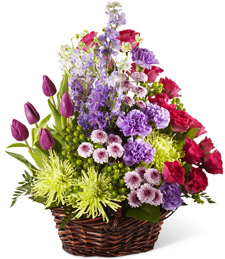 Vividly vivacious and vibrant, this charming arrangement is brimming with bright and cheerful flowers - a beautifully fragrant and simply sublime anniversary gift! 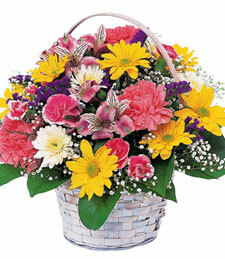 Vibrant cheerful colors explode from this charming basket of gloriously colorful and fragrant flowers. 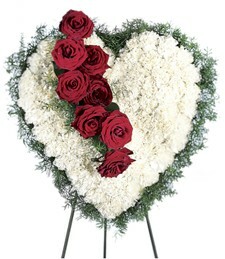 What a beautiful and heartwarming anniversary gift!